Sangria screams summertime. And our weather yesterday did the same. Of course, a refreshing beer is always good but I just wasn’t in the mood for beer (mark that down as a first). 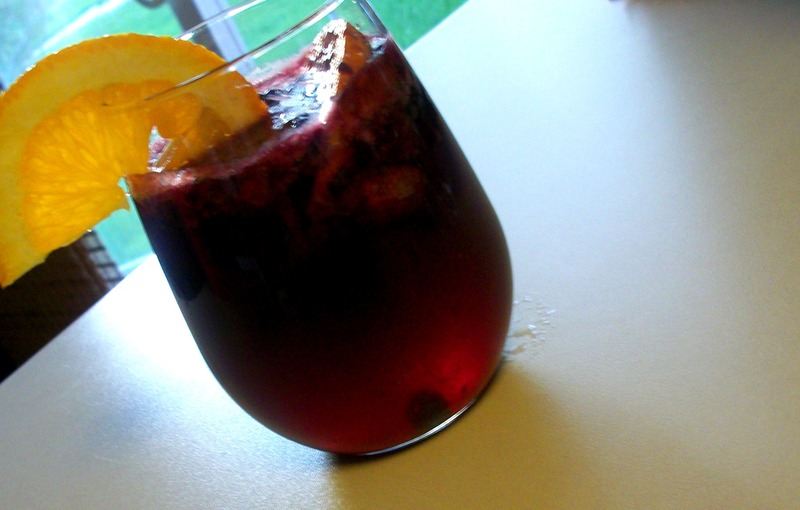 I wanted something fruity, summery…I wanted sangria. And I wanted it now. 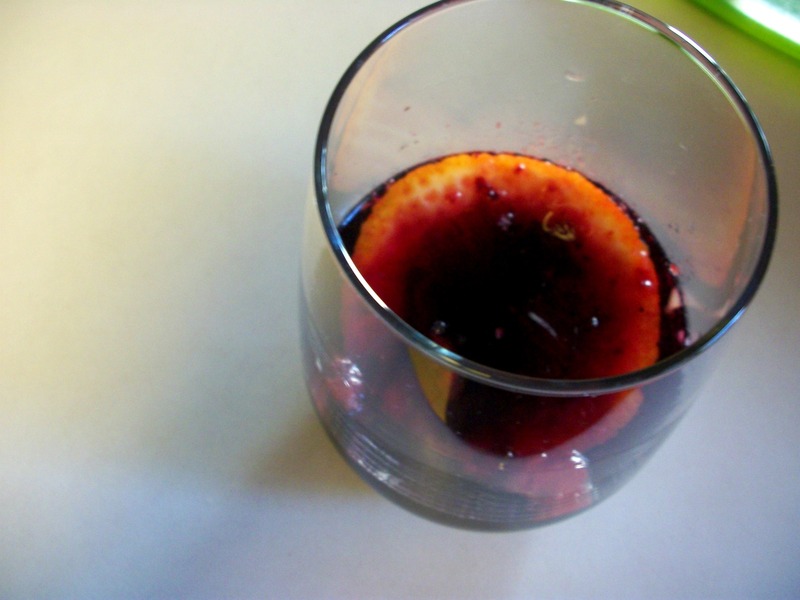 Most sangria recipes include a “marinating” step to really meld the flavors together. 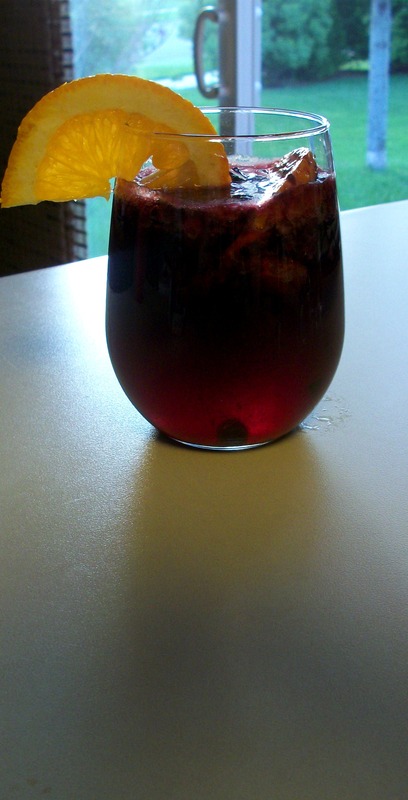 The first time I ever made sangria, I grew so impatient waiting for three hours to complete the marinating process that I vowed to never make sangria again. Well, I still crave the flavors and don’t always want to go out for sangria so I made my own little recipe for right here at home. 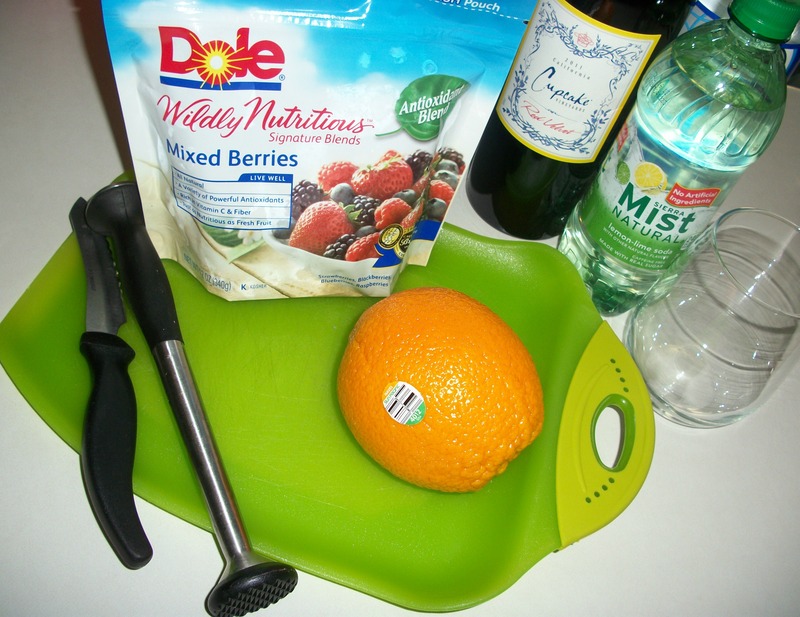 Everything you need to make Seven Minute Sangria right in your own kitchen is right here. Everything from cutting the fruit, to garnishing with an orange slice and taking your first drink will take you no more than 7 minutes. 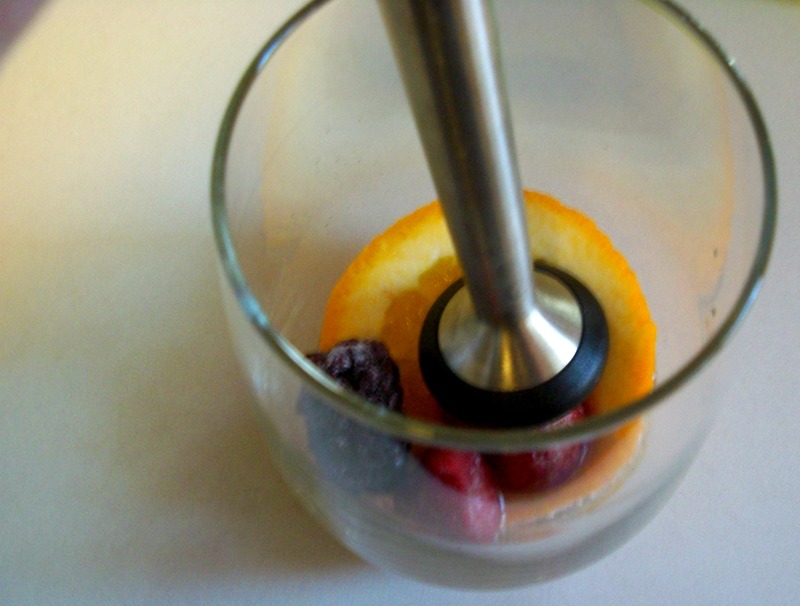 Just seven minutes and you’re on your way to sangria sipping paradise. Start by slicing off a section of orange. 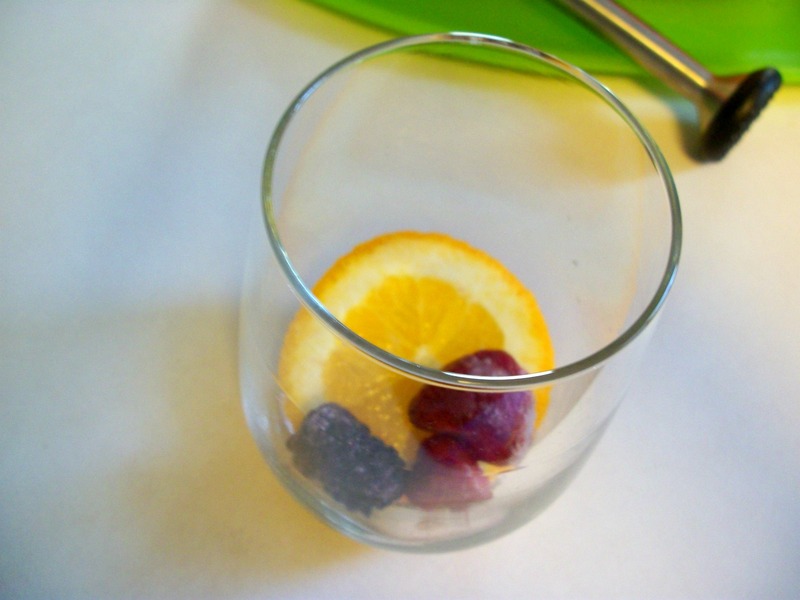 Place the orange in the bottom of your glass and add a few pieces of frozen fruit. Add a splash of club soda or Sprite (Sierra Mist, whatevs) and muddle. Add 4-6oz of red wine. Your choice. I buy wine based solely on the name. Did you notice my wine above is called Cupcake? Yeah, that’s how I roll. 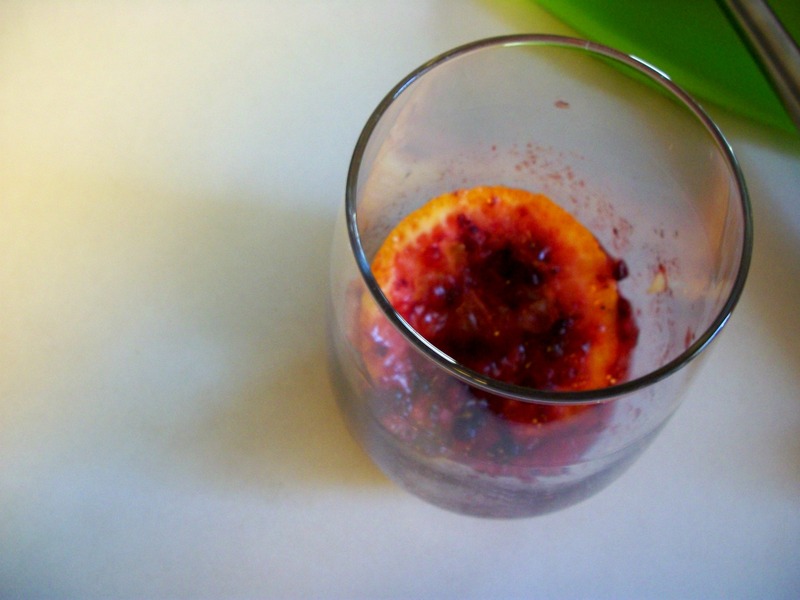 Top it off with club soda or Sierra Mist (I go half and half) and garnish with an orange slice. P.S. 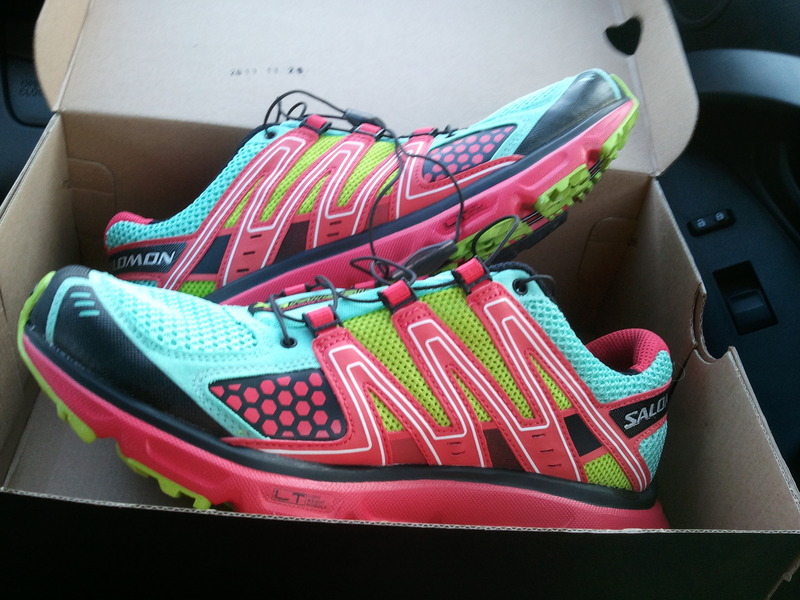 Remember those Salomon shoes I showed you yesterday? They’re officially in my possession and I love them! 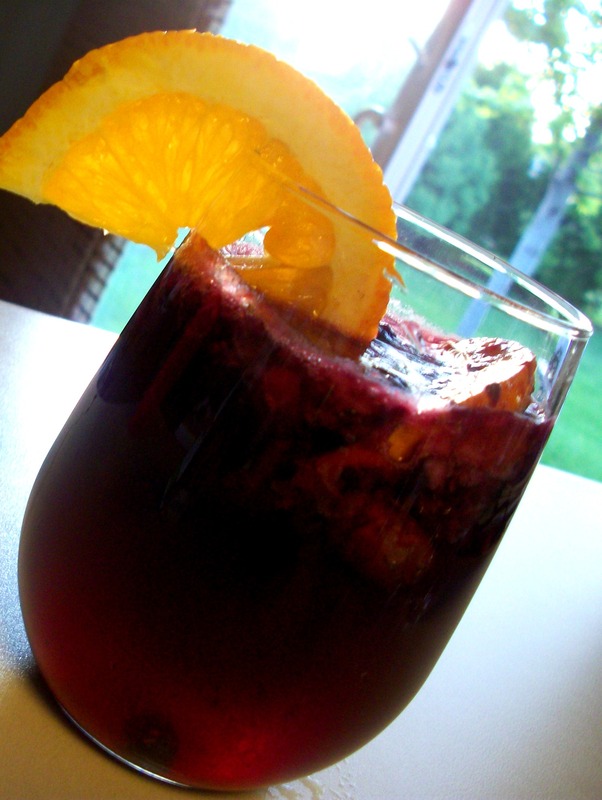 AWESOME to the Sangria…looks delish! SUPER AWESOME to the shoe purchase! They look fabulous! I’m trying to wrap my brain around this, and maybe doing a Cheerwine version… Hmm. I totally had to Google Cheerwine, that stuff sounds amazing!